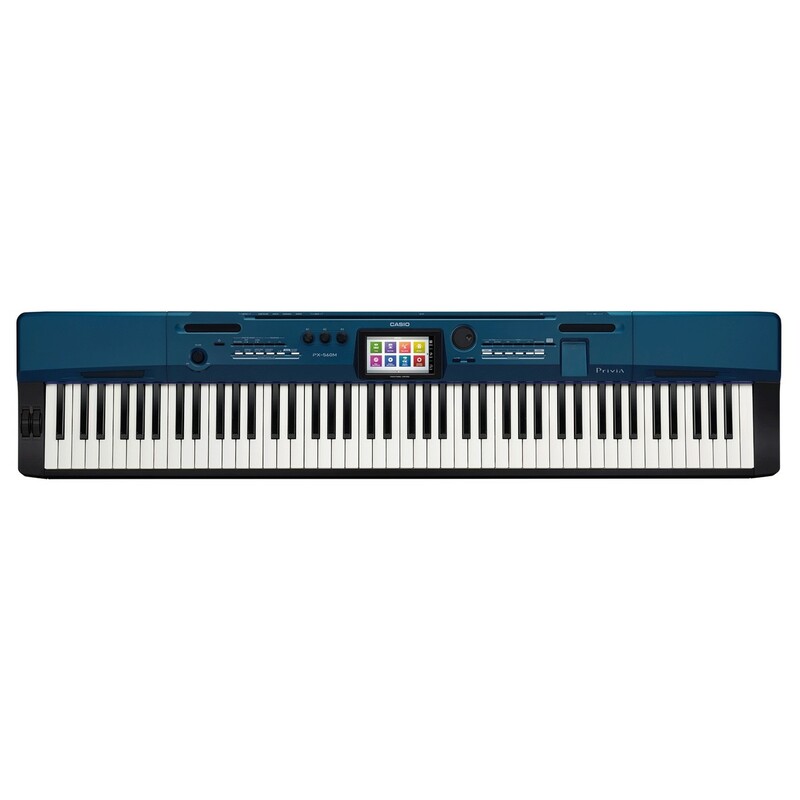 The Casio Privia PX 560 Stage piano not only provides all the benefits of a stage piano, but it also doubles as a full-fledged synthesizer. Creating your sounds could not be easier thanks to the striking and easy to use 5.3" Colour Touch screen. 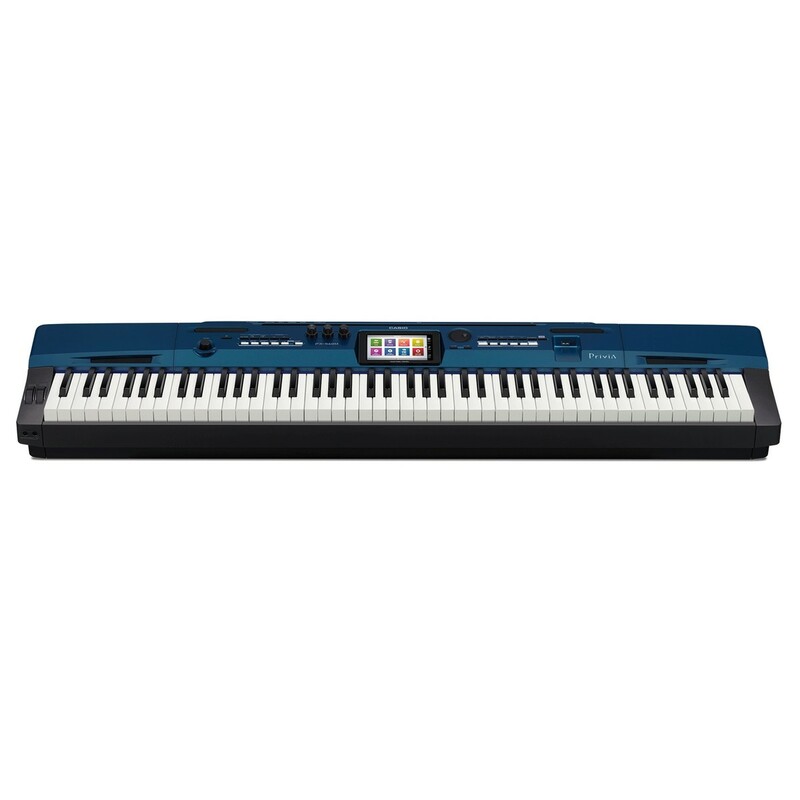 The PX 560 is an improvement upon the award winning PX 5S, so builds upon lots of the features and benefits of an already excellent stage piano. The PX 560 has more tones, 220 rhythms and up to 100 user presets ready to use, and all can be played through its four high quality speakers. Whether you take it to the stage or keep it for the studio, the PX 560 is certain to house everything needed for you to record and perform at your best. At the core of the PX 560 is a digital piano that sounds and feels rewarding to the player. 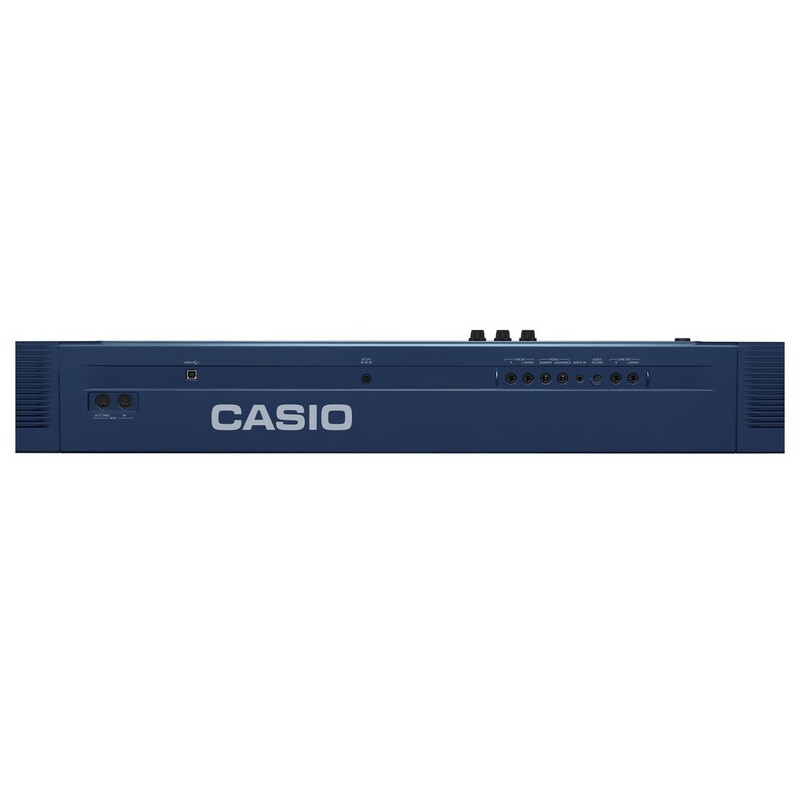 The sound technology is Casio’s Multi-Dimensional AiR (Acoustic and Intelligent Resonator). This sound source mimics string resonance for realistic harmonics, hammer response to allow a greater progression of each note, and Key Off Simulation, which gives you control of each note’s decay. The Tri-sensor Scaled Hammer Action keyboard is also great for playability and getting a great feel for each note. All of these features and more add up to a piano sound that comes close to the texture and complexity that an acoustic piano has. An unmissable feature of the PX 560 is its stunning 5.3’’ Colour Touch display. 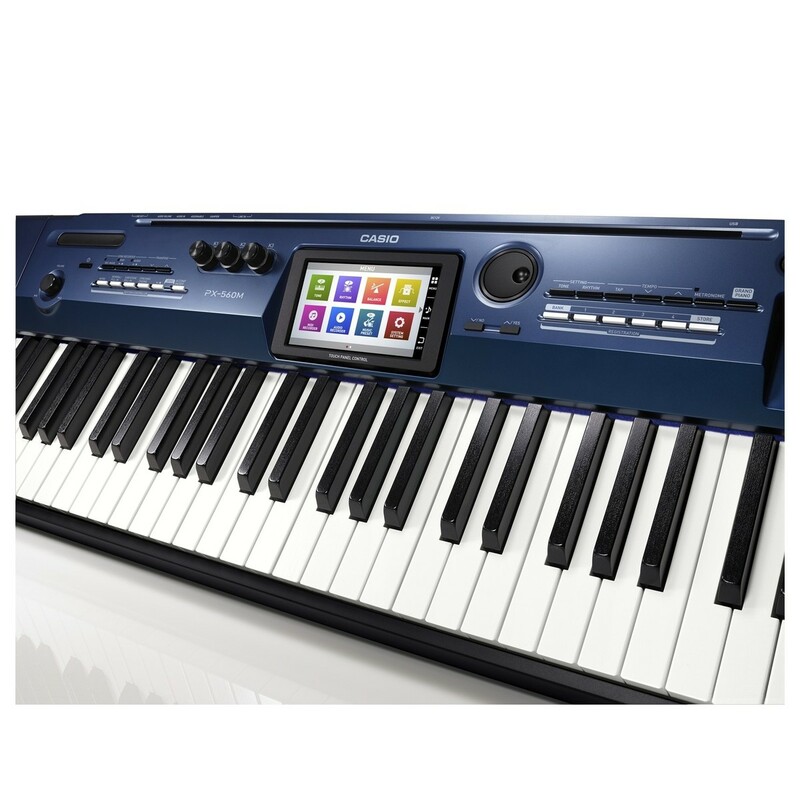 This easy to use, clear and vibrant interface is Casio’s intuitive way for you to access 550 tones, 220 on board rhythms, or save up to 100 of your own music presets. This means you can take a whole band to the stage in just one lightweight, portable device. The large spectrum of instruments and genres accounted for means that whatever style you play, the PX 560 has got you covered. 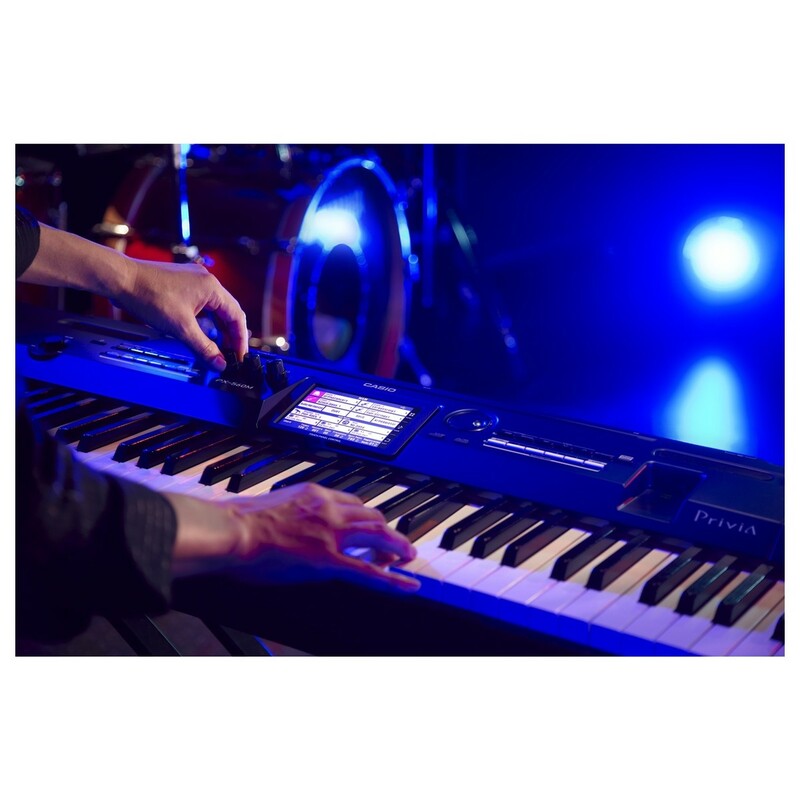 Whilst being an outstanding stage piano, Casio has also equipped the PX 560 with all the tools needed to accommodate the studio environment. There’s a generous 17 track MIDI recorder with added editing features, and also a USB audio recorder that can transfer what you play directly onto a USB stick. The port is compatible directly with PC, Mac, or an iOS device, so you can stay connected whatever you use. 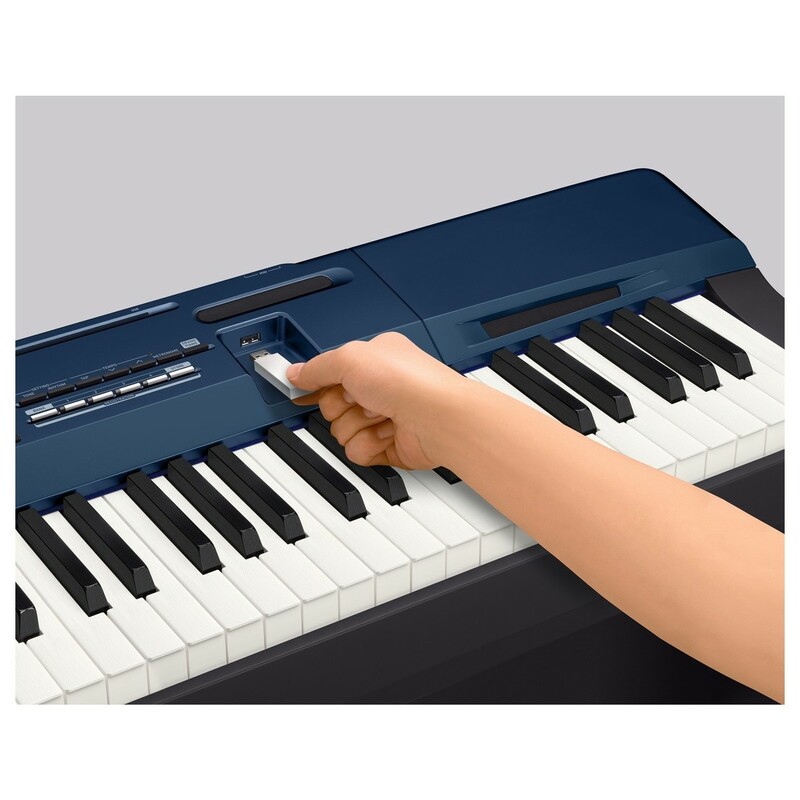 The PX 560 fits comfortably into Casio’s CS-67P wooden stand, so it will be a smart fit in your room or studio.